Seen on the HUD and in the distance near the wall. 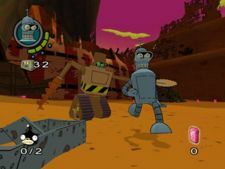 Robobium is a highly regular crystalline solid that Bender collected in the game. It is quite valuable and can be made into jewellery. It is also Bender's birth stone. This page was last edited on 24 October 2010, at 13:01.